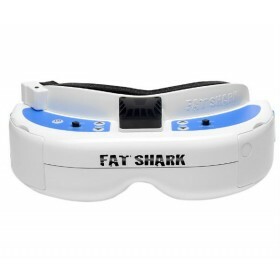 The FatShark Teleporter V3 goggles for First Person View are the easiest and best value Ready To Fly FPV system available from FatShark. The Teleporter V3 provides a rewarding FPV flight experience for a low price point. FatShark has incorporated the latest technology in the V3 to give the security of a solid video link and a range of up to a 1000 meters right out of the box. 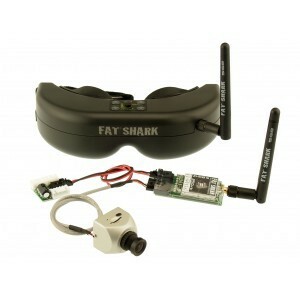 The Teleporter V3 goggles come supplied with a new high power 250mW 5.8 GHz A/V transmitter and the wide angle FatShark PilotHD V2 HD FPV Camera, this camera is a simple to use fixed lens camera for video piloting and on-board HD recording with a memory card slot (Micro SD Card, not included). The FatShark Teleporter V3 addresses all of the needs for the first time FPV pilot, the system comes ready to use from the box with a pre-wired and tested camera, transmitter and power supply adapter, this complete system gives a true Ready To fly out of the box solution which is and plug & play with your RC craft. As with the rest of the FatShark range, the V3 is not compatible with other Chinese brand transmitters. 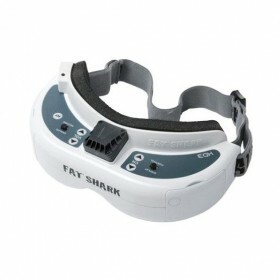 FatShark compatibility can only guaranteed with other Fat Shark and ImmersionRC transmitters. The Teleporter V3 does not support head tracking. If you are looking for longer range video we recommend that you use the upgraded ImmersionRC SpiroNet 5.8 GHz Circular Polarized Antennas with the ImmersionRC 600 mW 5.8 GHz Long Range Transmitter. Teleporter QVGA headset with integrated 5G8 receiver (no head tracking). bought and paid for online but asked to pick up as I couldn't wait to get these up and running on my dji f450, all I can say is wow, these have bought a totally new way of flying to me, very strange to start off with but as you get used to them, I can fly further than than I ever dared before, you really need a spotter though as you can only see forward, just a brilliant bit of kit and a good price too, can only imagine how good the top end models must look, one day when funds allow I will for sure upgrade the goggles to the higher end ones but these are perfectly adequate for me at the moment. Delivery was fast. As a first time fpv'er on a budget this was ideal for me. I haven't been out with them yet due to weather but the seem good for first timers. Happy with product. And neil is right camera seems faulty but not an issue as am using another. 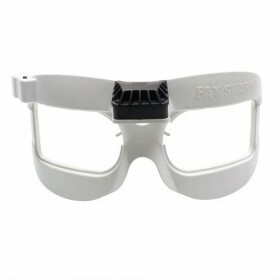 I purchased this item as part of a complete new set up (F450, Naza V2 GPS, Legs and Futaba T8J) and unfortunatley when I went to charge the included battery my charger kept stating broken connection. I checked the instructions which gave me a few pointers but still no charge was possible. A email later to BYOD explaining my problem was followed up with a quick responce and a visit to the guys as I live quite close. everything was checked with the battery and in the end the battery was declared DOA. within seconds a replacement was found and FPV became a reality for me for the first time. The Fatshark item itself is excellent, great picture and with the added ability to record direct to a micro SD card to play back your flights and mistakes meake this for me a great buy. Again the assistance and speed of responce from BYOD cannot be beaten and have sealed my respect and repeat custom.